Forever radiant, the DIAMELIA™ Ideal Radiant Cut is quite a sparkler! As always, our durable Tough-Edge™ Girdle (edge) ensures your DIAMELIA™ Ideal Radiant Cut will retain its beauty for life...and we guaranty it. Certificate card included for warranty and authenticity assurance. Our DIAMELIA™ Ideal Radiant Cut is made of the most beautiful and lasting diamond alternative in the world and we guaranty it. Beyond its sparkling beauty, this cut features our Tough Edge Girdle™ and our exclusive Peace of Mind Lifetime Warranty™. The ultimate symbol of love and commitment, the DIAMELIA™ Ideal Radiant Cut presents a timeless style. Like the other premium grade moissanite "Gem" brands, DIAMELIA™ is premium grade Silicon Carbide (SiC), yet their are multiple advantages to the DIAMELIA™ Gems. Our Blazing Arrows™ Ideal Cut has a perfect pattern of 8 perfect hearts and 8 perfect arrows, yet our arrows do not show through the gem as chunky, un-diamondlike arrows. DIAMELIA™ truly presents the most diamond-like moissanite available. The big complaint about the well known Moissanite companies is the fact that their stones possess an un-diamond like "Disco'Ball" effect. It's too colorful and does not look like natural, fine diamond. 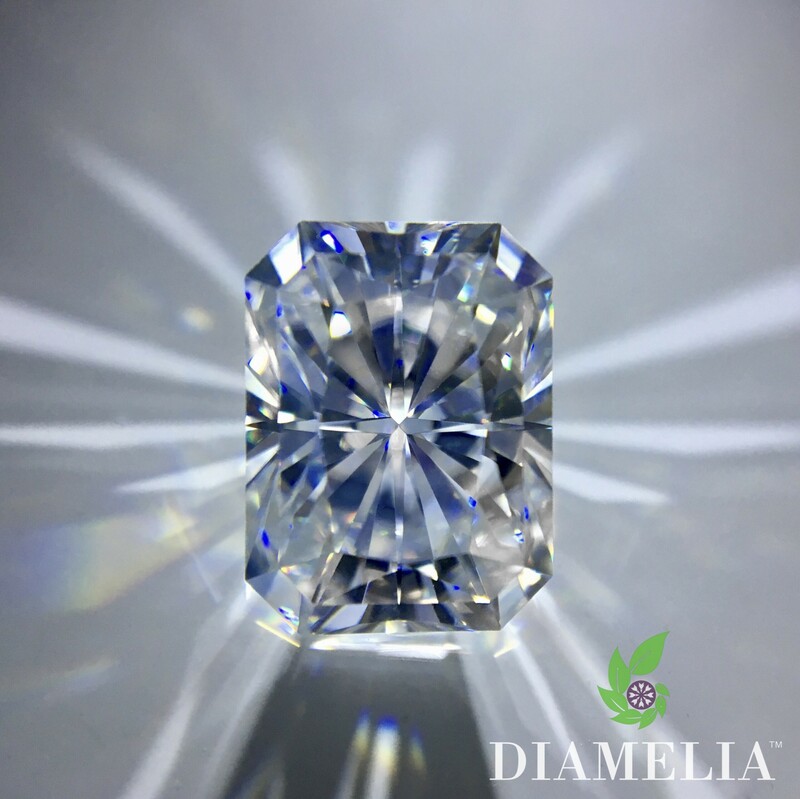 See for yourself why people are raving about DIAMELIA™, calling it the most diamond-like alternative in the world. 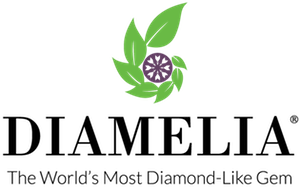 Order your DIAMELIA™ Gem today! Wear a DIAMELIA™, not a diamond...it only makes sense (and cents) for you...and the world we live in.